Australia is no stranger to internet security or IT Security breaches. In recent times, David Jones, Kmart, Woolworths, and the Red Cross Blood Service have all been victims of serious ‘cyber’ attacks. But these are just some of the cases that made the news. The fact is that most internet security breaches never get reported. What you don’t know can’t hurt you… or can it? Since we only ever hear about the newsworthy incidents, it’s easy for CEOs of small and medium enterprises (SMEs) to believe that cybercrime only affects the big corporations. The problem is, this then leads to the thinking that cyber security measures are only necessary for the big corporations too. You probably have some sort of internet security system in place, but it’s not something you place too high on the priority list. One of the most dangerous ways to think is “It’ll never happen to us”. As an SME, you may feel that you’re not a likely target due to your size and the fact that hackers couldn’t possibly be interested in what you do – but the exact opposite is true. This is because businesses like yours are seen as easy targets, and can be used as a way to get to the ‘bigger prize’ if you’re working with larger organisations, like suppliers or business clients. Scammers can trick you into giving out personal information such as passwords, bank account details, and credit card numbers by sending emails that appear to be from a legitimate source. Sometimes a phishing email will contain malicious software which, once opened, can block access to the entire company network until a sum of money is paid. Cybercriminals can use phishing scams to gain access to the company’s network, allowing them access and exploit sensitive data, at the risk of you losing it all. 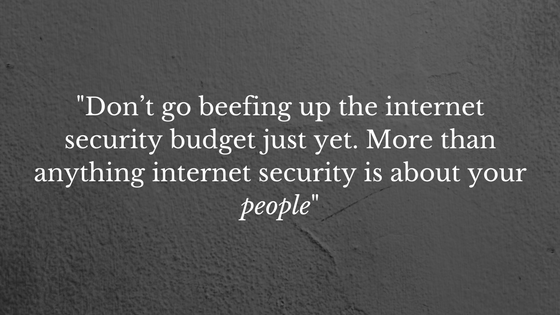 Don’t go beefing up the internet security budget just yet. More than anything internet security is about your people. As you can see from the nature of the attacks listed above – cybercriminals rely on your staff’s unwariness. It’s the employee who innocently opens the email attachment from a ‘trusted source’, or responds to a request for financial details from the ‘bank’, who lets the attacker in. 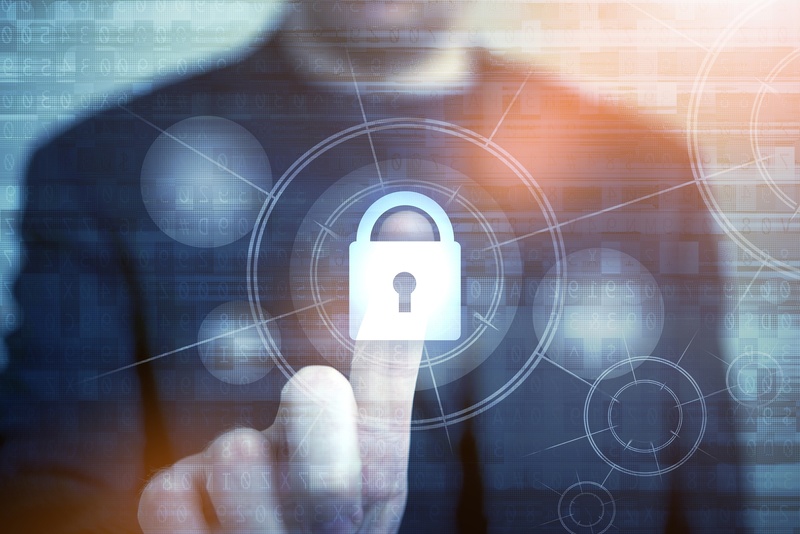 Unfortunately, human error is to blame for most security breaches, so before you look at technological solutions, educate your staff on how to avoid these traps and the significance of safeguarding your business’ information. Once your staff are up to speed, you might consider outsourcing elements of your cyber security programs to a managed IT service provider. This takes the responsibility is off you to monitor your network and detect suspicious activity, and it’s usually the most cost-effective way to go about protecting your business. In the meantime, there are a few simple steps you can take to protect your SME. A security breach is one of the biggest kind of crises an SME can face, and unfortunately, it’s one that more and more CEOs will be facing this year. With the increasing number of users, data, and network connections, internet security threats are only going to mount. For SME leaders like you, this means the management of internet security risks needs to be top of mind. Don’t allow yourself to be lulled into a false sense of security. It’s okay to hope for the best, but you need to prepare for the worst. Download your free ebook today on Backup vs. Business Continuity.